Those of you who are in between caddies know that navigating the dogleg on the back nine or deciding whether or not to lay up to that pesky water hazard can prove to be a bit of a challenge. 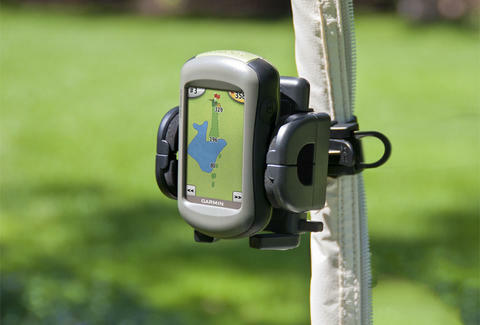 Turn your golf cart or push cart into a digital caddy by mounting your GPS to it with the new Universal Golf GPS Mount from Brackerton. 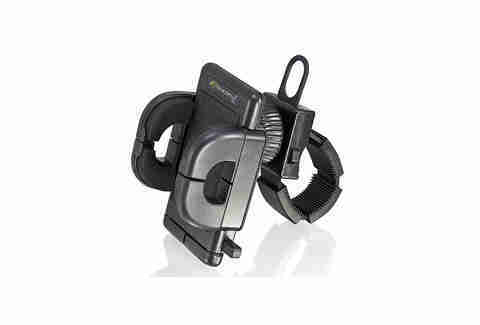 An adjustable caddy strap and universal Grip-It mount means that you can attach any GPS or smartphone up to 4.5" wide to your cart, be it motorized or push. Now you can finally break out those Spongebob head covers--your GPS won't judge.